TP Link's EAP220 Business Access Point provides a flexible, easy-to-deploy, manageable and robust security business-class wireless network solution. The simple mounting design makes it easy to fix to a wall or ceiling, and WLAN configuration and management are simplified through centralised management software. The EAP220 also features captive portal and auto RF management, making it ideal for the high-density, intensive demanding business environment. The 'ceiling lamp' appearance and easy mounting design make it easy to be integrated seamlessly and blend in with most interior decorations. The EAP220 supports Power over Ethernet (PoE) to make deployment effortless and flexible. The EAP Controller Software represents a cost-effective 'centralised management' solution for wireless networks of both small and medium business sectors (SMB). The software enables administrators to manage hundreds of EAPs easily from any PC on the network, and includes such administrative features as centralised configuration, real-time monitoring, graphical analysis of network traffic and batch firmware updates. Captive portal provides one single convenient method of authentication for Wi-Fi guests, requiring users to perform certain actions before network access is allowed. The required action must be verified by an external portal server or customised database by the administrator, which can be simply viewing and agreeing to an acceptable use policy, or entering a user ID and password. The EAP220 supports Enterprise class Wi-Fi security, including WPA/WPA2-enterprise encryption and 802.1X radius. In addition, Multi-SSID, Wireless Isolation, MAC Filtering and Rogue AP detection features help to decrease network security threats. 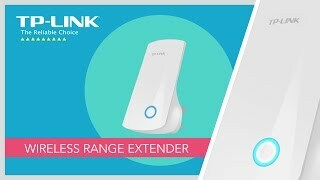 More links for "N600 Wireless Gigabit Ceiling Mount Access Point (EAP220)"